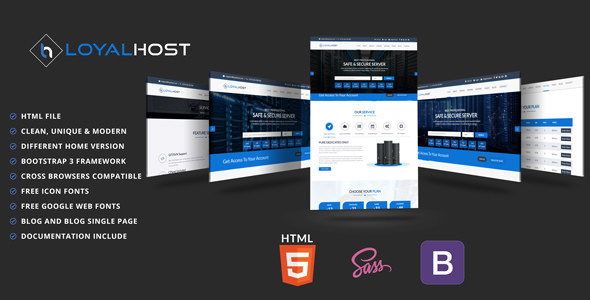 LoyalHost is a modern, responsive and versatile template providing a powerful base for hosting, technology and startup companies. Its well structured and lightweight code makes it incredibly easy to build new projects while utilizing a huge variety of customization options and layout elements. Easy-to-customize and fully Featured Design. LoyalHost Template designed especially to suit almost all Hosting projects. LoyalHost is built with the latest web technologies.